diagnosed with cancer in this region. 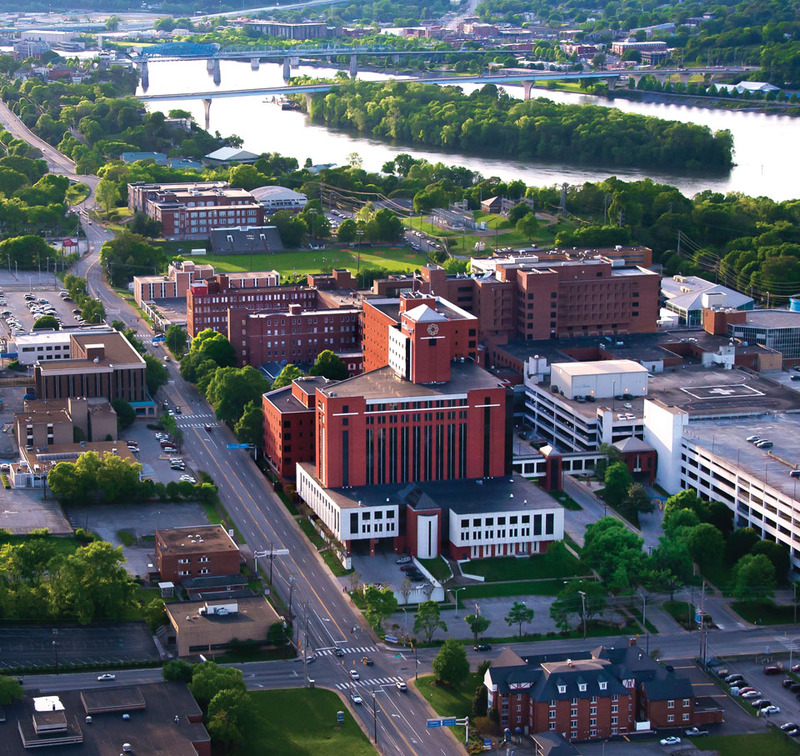 With more than 7,000 physicians, nurses, and other professional staff, Erlanger Health System is focused on fulfilling the mission of delivering excellence in medical care to the people of the four-state region surrounding Chattanooga – just as the original handful of employees who broke ground on the System’s first hospital in 1881. Baron Frederic Emile d’Erlanger, a German banker and Consul to Paris, invested in railroads and mines in Africa, North America, South America, and Europe in the second half of the nineteenth century. His marriage to Marguerite Mathilde Slidell, from an influential family near New Orleans, led him to the South where he had financial interests in local railroad lines. Learning that Chattanooga did not have a hospital to treat injured railroad workers, he pledged the princely sum of $5,000 (equivalent to $4 million in today’s dollars!) to build a hospital in the city. Appreciative citizens named the hospital the Baroness Erlanger Hospital for the Baron’s wife, Baroness Marguerite Mathilde Slidell d’Erlanger. That single hospital is now Erlanger Health System, a world-class, multi-hospital system with five hospitals, physician practices in 44 locations, six emergency rooms, two community health centers, and a fleet of five air ambulances. Each year, more than a half million people are treated by the team of healthcare professionals who are part of Erlanger. & CEO of Erlanger Health System discusses the role of EROC—Erlanger’s Regional Operations Center. Erlanger serves a four-state region surrounding Chattanooga with a 63-county service area encompassing Southeast and Middle Tennessee, North Georgia, Northeast Alabama, and Southwestern North Carolina. 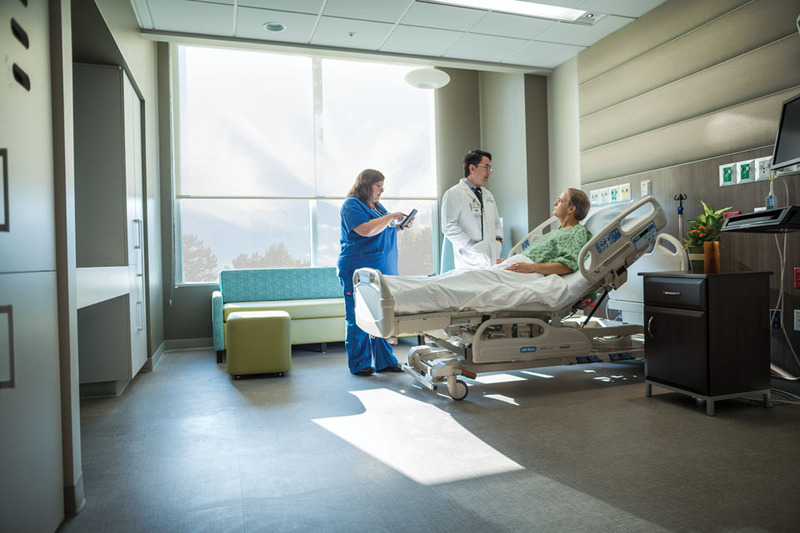 With four hospitals based in Chattanooga and one in Pikeville, Tennessee, Erlanger is the seventh largest public hospital in the United States and has been recognized as “Chattanooga’s Number One Hospital” by U.S. News and World Report. Erlanger’s five hospitals serve as comprehensive providers of acute care and ambulatory health services, offering a “system of care” that delivers value in terms of quality, cost effectiveness, customer service, teaching and research, all directed at improving the health of people in the region. Erlanger Health System is a non-profit, academic teaching hospital affiliated with the University of Tennessee College of Medicine. 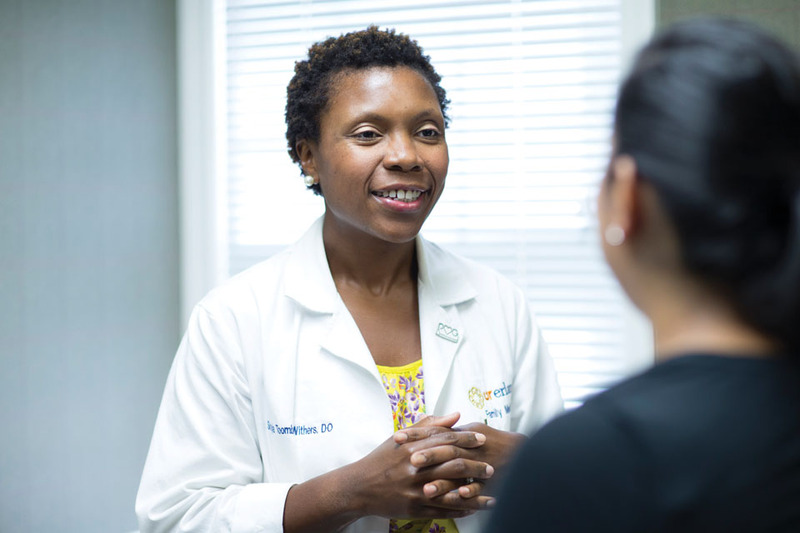 Erlanger has a clinical affiliation with the Vanderbilt Health Affiliated Network. The main downtown campus is home to the tri-state region’s only adult and pediatric Level One Trauma Center, with trauma, general, and pediatric surgeons on duty 24/7. Erlanger provides the highest level of trauma care for adults and the only provider of tertiary care services in the region. Co-located on Erlanger’s main campus is the Children’s Hospital at Erlanger. Children are not miniature adults and their physical and emotional needs are unique. When ill or injured, they require specialized care and equipment. 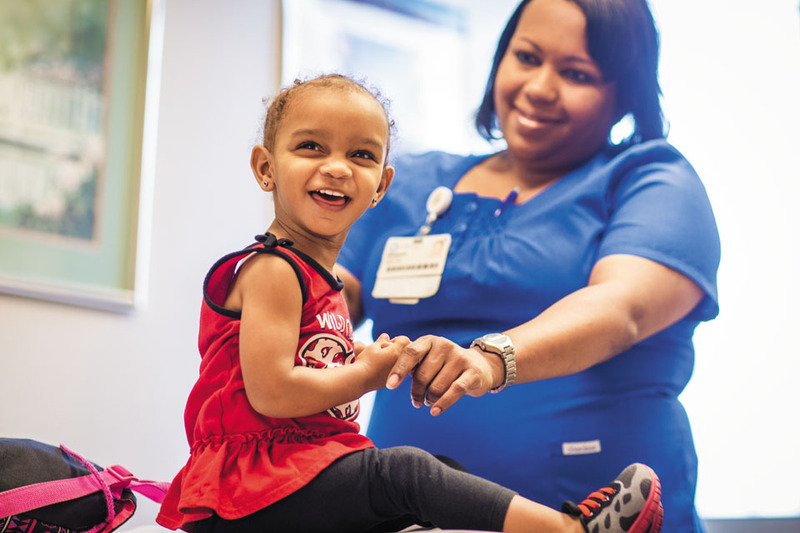 Children’s Hospital at Erlanger is a place where caregivers know that hugs play an important role in healing, where laughter is prescribed in large doses, and where the whole family can find comfort in times of worry and stress. Children’s Hospital is the sort of full service facility usually found only in very large cities. 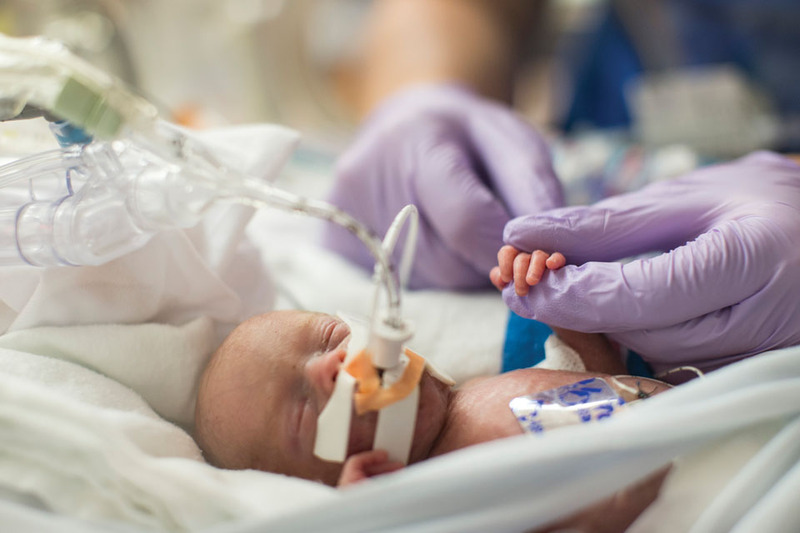 The Neonatal Intensive Care Unit is designated Level IV by the state of Tennessee, providing the very highest level of care for premature or sick newborns. 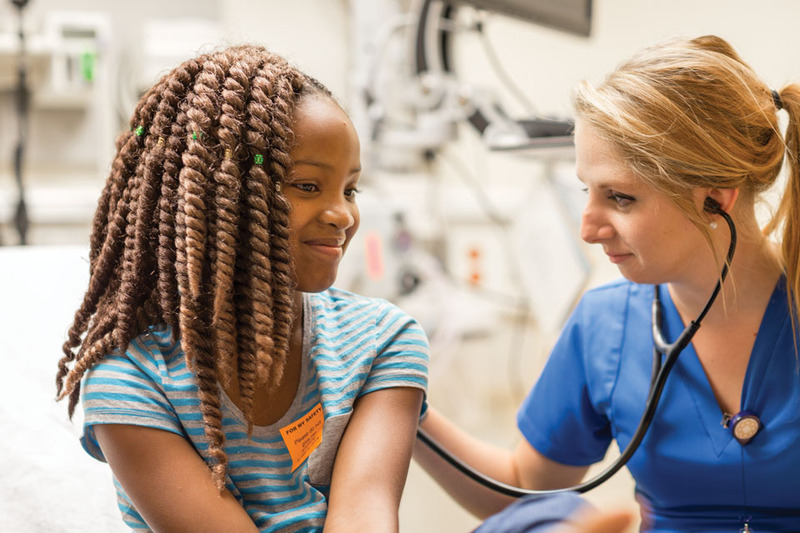 The Pediatric Trauma Team, Emergency Department and Pediatric Intensive Care Unit provide immediate, 24-hour-a-day care for critically ill or injured children. 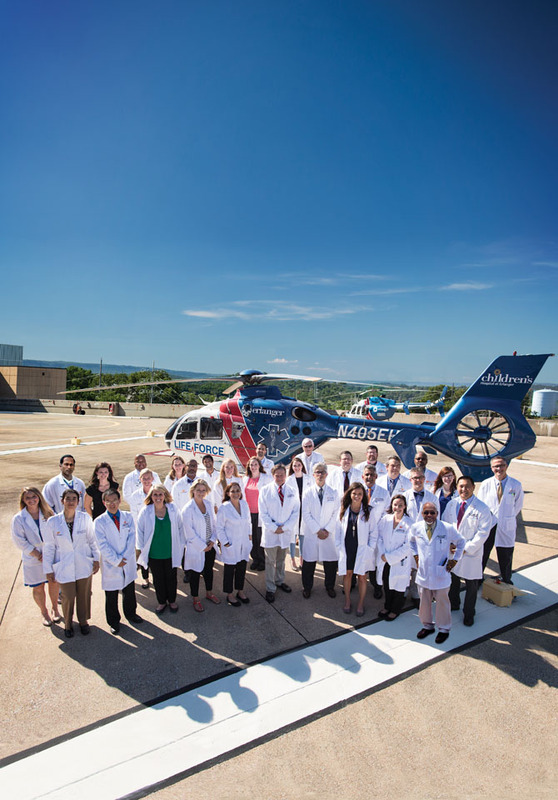 Erlanger’s LIFE FORCE Air Ambulance and Neonatal/Pediatric Ground Transport unit make the services of Children’s Hospital at Erlanger quickly accessible to pediatric patients throughout the region. No other facility in the region offers these services. Erlanger East Hospital, another unique facility, offers hotel-like amenities and is a vital part of the community and system of care that distinguishes Erlanger Health System. This multi-faceted hospital campus is also meeting the needs of a growing community with a recent $50 million expansion that has resulted in the region’s first lifestyle hospital. Along with a walking trail and outdoor patio, the expanded facility includes new operating rooms, 64 new patient beds, a Level III neonatal intensive care unit, heart and cancer care, and expanded services for women and children. Erlanger East Hospital also provides the community with a 24/7 full-service emergency department, outpatient imaging center, physician offices, outpatient pharmacy, and more. Erlanger North Hospital is a specialty hospital with full-service emergency department and other ambulatory programs. The hospital has an inpatient behavioral health service which focuses on the diagnosis and treatment of mental health issues associated with aging. Patients may be experiencing depression, severe anxiety, psychosis or behavioral changes related to Alzheimer’s or other types of dementia. Erlanger North Hospital also offers outpatient neuropsychiatry, memory services and behavioral healthcare for adults over age 18. Erlanger North Hospital has an accredited Sleep Disorders Center, offering a home-like environment for adult and child sleep studies and treatment. advance heart care in Tennessee, but to advance cardiac care, period. The only Children’s Hospital, T. C. Thompson Children’s Hospital, founded as a separate facility in 1929, became part of Erlanger and moved to the Baroness Campus in 1975. The only Level IV neonatal intensive care unit, the highest designation by the state of Tennessee, as well as a pediatric trauma team, Emergency Center, and Pediatric Intensive Care Unit. The only kidney transplant program. The area’s first kidney transplant was performed at Erlanger in the 1980s, and the service is still available only through the Erlanger Kidney Transplant Center. The most comprehensive OB/GYN services, delivering more than 80 percent of the region’s babies every year. 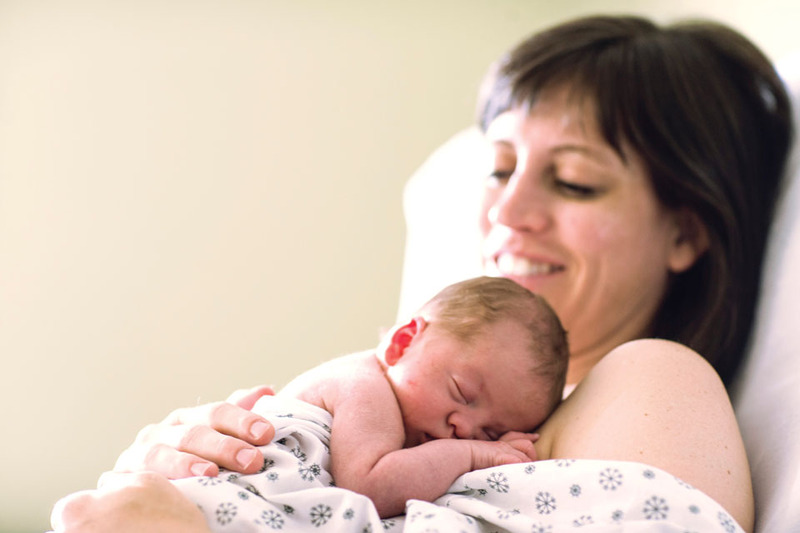 Out of 109 hospitals in Tennessee, Erlanger Baroness Hospital was the first in the state to be designated “Baby Friendly” by the Baby-Friendly Hospital Initiative, a worldwide program sponsored by UNICEF and the World Health Organization. Patients from as far away as California have traveled to Erlanger to obtain intricate bladder reconstruction and kidney-sparing cancer surgery from Amar Singh, MD, one of Erlanger’s world-class robotic surgeons. The only certified academic neurosciences center, including the region’s leading center for stroke treatment. 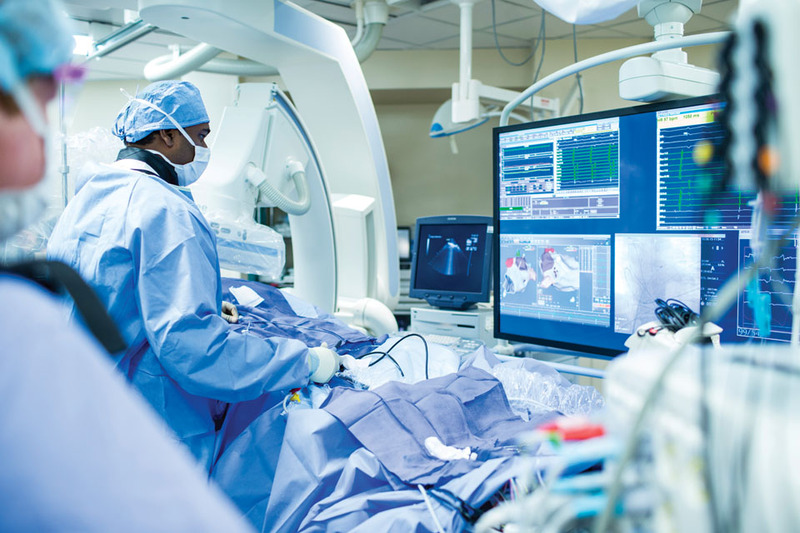 The Erlanger Southeast Regional Stroke Center is the fourth largest interventional stroke program in the United States. At the 2015 International Stroke Conference, the Center was recognized for its breakthrough research in interventional stroke care, provided exclusively in the region by Erlanger. Its stroke team, led by Dr. Thomas Devlin and Dr. Blaise Baxter, was also recognized for achieving the best medical outcomes and fastest treatment times from 68 research study sites around the world. Results were published in the New England Journal of Medicine. Six Life Force air ambulances (three based in Tennessee, two in North Georgia and one in Murphy, NC) provide swift transportation for critical care patients. The LIFE FORCE crew can perform life-saving surgical procedures in flight. 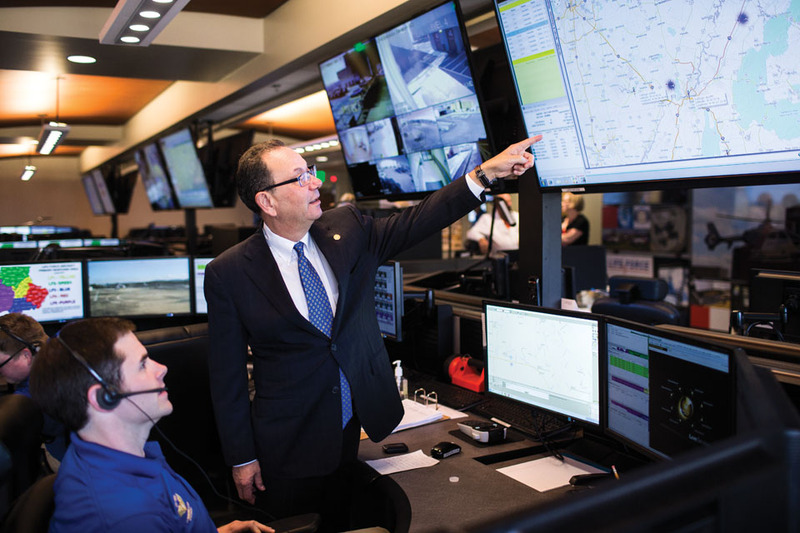 Erlanger operates the Erlanger Regional Operations Center (EROC), a nationally-acclaimed command center that allows Erlanger to coordinate with every ambulance and medical helicopter across its four-state service area. EROC is one of the most advanced command centers of its kind in the U.S. and is providing the nation with a model for coordinated response to emergencies of all types. A $9.5 million Orthopaedic Center of Excellence opened in April 2016, home to the region’s largest and most comprehensive group of orthopaedic physicians. 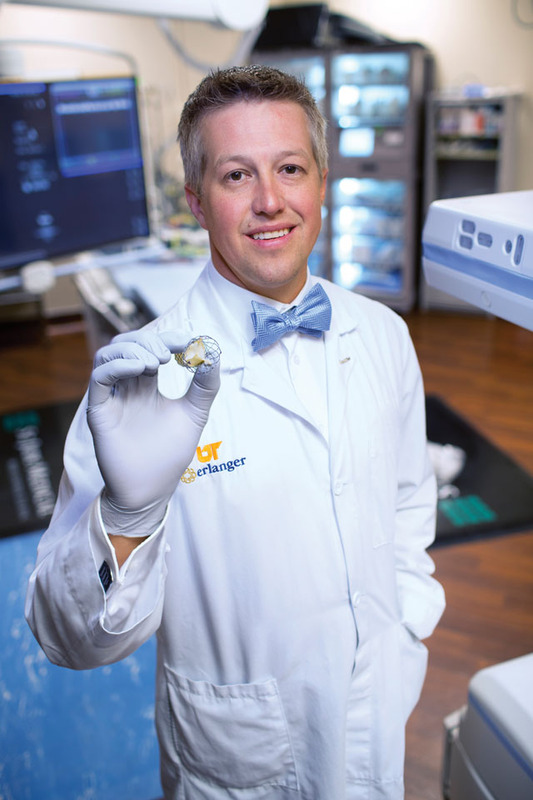 Doctors at the new Erlanger Orthopaedic Institute, like Dr. Mark G. Freeman, provide the region’s most comprehensive joint replacement and the only minimally invasive hip surgery. These “Docs of the Mocs” for the University of Tennessee Chattanooga’s sports teams also provide the latest in sports medicine. In addition, Erlanger is the region’s safety net hospital, providing more than $85 million in uncompensated care and free services each year. Erlanger is among the state’s leaders in providing charitable benefits to the communities we serve. Children’s Hospital at Erlanger provides the region’s only Level IV Neonatal ICU for high-risk babies providing the highest level of care to premature and sick infants. Soon after its opening, Erlanger formed one of the state’s first nursing schools and developed a partnership with Chattanooga Medical College, now the University of Tennessee at Chattanooga (UTC). Erlanger greeted the 20th century as an academic teaching facility, a distinction the hospital maintains today. Nurses and nursing technicians are trained at Erlanger in conjunction with UTC, Chattanooga State, and other regional colleges, and doctors are trained through an affiliation with the University of Tennessee College of Medicine, (UTCOM), Chattanooga. In addition to providing vital medical services to those in need, Erlanger maintains a leadership position today as an academic medical center for the clinical education of medical students and physicians through affiliations with academic partners. A teaching hospital since 1915, Erlanger became affiliated with UTCOM in 1974. 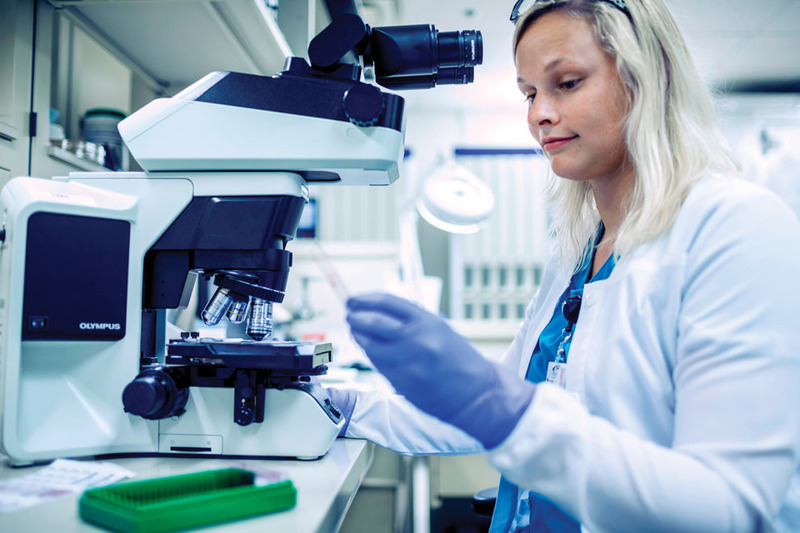 Today, Erlanger serves as the main campus for UTCOM Chattanooga, one of four campuses across the state affiliated with the University of Tennessee Health Science Center in Memphis. The academic environment at Erlanger and UTCOMC encourages physicians to seek solutions for patients’ problems through medical research. Their involvement in research enables patients to participate in groundbreaking treatments not available at other area hospitals. Studies show that patients at academic medical centers have better outcomes. Academic medical centers like Erlanger and UTCOMC encourage active collaboration among residents, practicing physicians, and specialists. Consultations on difficult medical problems can lead to earlier diagnoses and treatment methods. 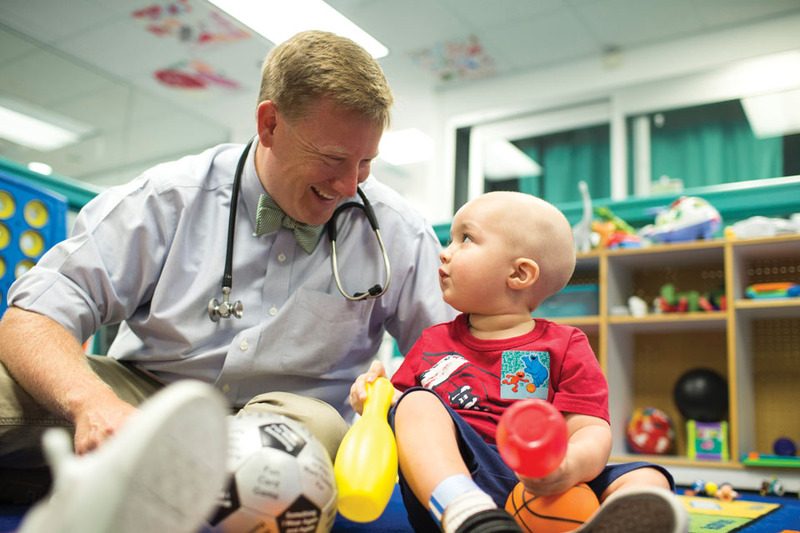 The teaching atmosphere also attracts specialists to the community, allowing Erlanger to offer services not provided by other facilities, such as a children’s hospital and trauma care. Erlanger East Hospital opened December 2016 and is the area’s first lifestyle hospital, meaning it is designed to meet the changing needs of active adults, children and families as they age and grow. The impact that Erlanger Health System has had on the Chattanooga area is not limited to the health services the System’s professionals provide. The economic boost to the region is approximately $3 billion per year. Erlanger’s net revenue has increased over 50% in the last three years. 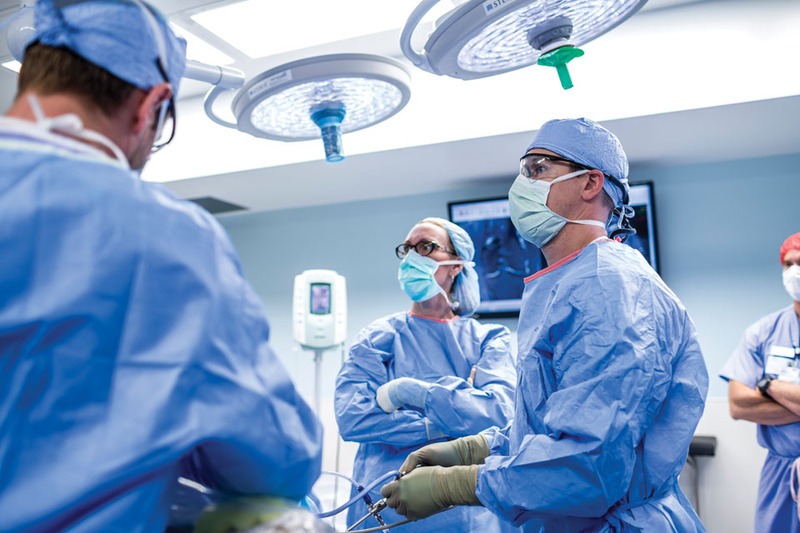 Erlanger’s commitment to world-class healthcare continues. Erlanger and community leaders are rallying to raise funds for a new Children’s Hospital at Erlanger. The first step will be the construction of a spectacular Children’s Hospital Outpatient Center, with groundbreaking in June 2017. Also, Erlanger leads with its Arts at Erlanger program. The purpose of art in the hospital setting goes far beyond decoration. Studies show a direct link between art and the brain’s reaction to pain, stress and anxiety. A 2011 University of London study found that blood flow increased ten percent to the “joy response” part of the brain when subjects saw a beautiful painting. The Arts at Erlanger program seeks to preserve and expand the healing, uplifting, and therapeutic art at all campuses in our medical system.